Julie Friedman has written and published articles on health promotion and public health issues, as well as on twins. She has an eclectic background in health education, worksite wellness, early childhood development, and workforce development. She has been an invited presenter at local and national conferences to discuss her work in the area of workplace wellness. From her roots as a medical assistant at Planned Parenthood, to launching the lactation program for employees of the Los Angeles Times, Julie has a strong background in women's health issues. The employee health promotion program she managed at the Los Angeles Times gained notoriety for offering a wide spectrum of intergenerational health and family programs and services that were accessed by all levels of employees from entry level to executives. While at The Times, she was instrumental in founding Worksite Wellness LA, a nonprofit organization providing onsite health education to low wage workers in downtown LA. She served as the board chair of Worksite Wellness - Los Angeles from 2015-2017. In December 2017, Julie was appointed to the LA County Commission on Women by Supervisor Sheila Kuehl. As the executive director for several nonprofit agencies, women's issues were central to Julie's work. Prior to joining WHERC in 2010, she was the executive director of Health & Family @ Work, an organization helping the low wage workforce manage their health and family challenges on and off the job. Julie has served as the executive director of the Early Childhood Parenting Center. She is married and has twin sons. Sierra Moon graduated with a B.A. in Human Biology and Society from UCLA, with a concentration in medicine and public health. Throughout her time as an undergraduate, Sierra volunteered in local hospitals and worked as a scribe to numerous doctors, gaining insight into the medical field. She is passionate about caring for children and has nannied for several years. Sierra is applying to medical school in hopes of learning how to better serve her community’s health needs. In her free time, she enjoys reading and being outdoors. Snigdha Jayavarapu is a third-year student at UCLA hoping to pursue healthcare administration. She is a Bharatanatyam dancer and captain with UCLA Taara. Snigdha enjoys her work as a henna artist, an intern at the UCLA Iris Cantor Women’s Health Center, research assistant for the Fielding School of Public Health, and marketing director of PILOT Public Health club on campus. Daisy Duran is a fourth-year UCLA undergrad majoring in Human Biology and Society, while minoring in Public Health. She is committed to eliminating health disparities within underserved communities through research and active volunteerism. After graduating UCLA she hopes to become a public health nurse, focusing on disease prevention and wellness promotion across Southern California and outside of the US. As a former nursing volunteer at Ronald Reagan hospital, active member of her campus Chicanos for Community in Medicine (CCM), and fellow Harbor-UCLA’s Urban Health Fellowship she has gained valuable clinical, community health, and research experience nonetheless, she has become determined to strengthen her skills to best improve the health of others. Outside of her schoolwork, she very much enjoys listening to a variation of music and spending quality time with her family. Heather Miau is a third year Environmental Science major and a Conservation Biology minor at UCLA. In addition to interning at WHERC, she volunteers and conducts research at Ronald Reagan Medical Center, and is the Vice President of Internal Affairs for UCLA's Health Guardians of America Chapter. After graduating from UCLA, Heather hopes to pursue a career in environmental health policy or law, using the skills and knowledge she has learned to educate and assist underserved minority communities. Jasmine Alberto is a fourth year Human Biology and Society major and a double minor in Public Health and Applied Developmental Psychology. Her studies in public health and interest in becoming a certified nurse midwife have prompted her interests in women’s health and reproductive health education. Jasmine studies the reproductive health needs of women receiving treatment in methadone clinics through the Fielding School of Public Health . She is also involved with UCLA’s T.E.A.C.H. program, Black Hypertension Project, CPR and First Aid Program, and the Nursing Volunteer Program at Ronald Reagan. Outside of volunteering, Jasmine enjoys working with toddlers as a student teacher at UCLA’s ECE Krieger Center. Diana is currently a 4th year Human Biology and Society, BA and Anthropology, BS at UCLA. She is very passionate about helping people and wanting to spread awareness of the different health resources there are. She has volunteered at the Santa Monica Hospital and now currently works as an AAP peer counselor at UCLA. Upon graduation, Diana hopes to pursue a Master's in Public Health focusing on the promotion of women's health. In her free time, she likes to go to the beach and hang out with her family and friends. Katherine is a fourth year Human Biology and Society, B.S. major at UCLA with plans to pursue medical school. Her interests include women's health, epidemiology, hospital administration, and advocacy work, all of which she hopes will contribute to her future career as a healthcare professional. Outside of the classroom, she enjoys volunteering at Ronald Reagan Hospital, interning at the Iris Cantor Center, and serving on the executive committees of Bruins Public Health Club and Alpha Delta Pi Sorority. In her free time, you can find her exploring brunch spots throughout Los Angeles and reading poetry books. Katie Mann is currently an undergraduate Human Biology and Society, B.A. major at UCLA with a concentration in public health and medicine, and minoring in applied developmental psychology. In her time at UCLA, she has volunteered in the care extenders program at Ronald Reagan UCLA Medical Center, and served as workshop coordinator for UCLA Sexperts under the Student Wellness Commission. Katie is involved as an intern for the UCLA Campus Assault Resource and Education program and works as a campus tour guide. After graduation, she plans on pursuing a career in maternal health nursing as a certified nurse midwife. In her free time, Katie loves working with children and enjoys her summer working as a camp counselor for Bruin Woods, a UCLA alumni family camp. Suzannah is a 4th year human biology and society major and global health minor interested in pursuing a career in public health. Her experiences as a collegiate rower on UCLA's Women's Rowing team surrounded her with strong and confident women, and she is hoping to learn how to similarly empower women served by the WHERC's programs through health. She is also a peer learning facilitator in the UCLA Athletics Department and an Educational Coach for students with developmental and intellectual disabilities in the Pathway Program at UCLA Extension. In her spare time, she enjoys hiking, travelling to new places (mostly by her desire to try exciting new foods), and cooking for her friends and family. Elizabeth is a 4th year human biology and society major with a concentration in medicine and public health, interested in pursuing a career in public health. She hopes to focus her future career on maternal health. As an undergraduate at UCLA, she has dedicated much of her time to serving the community through counseling and volunteer work. As a doula, she volunteers at Harvest Home, supporting homeless pregnant women. In her free time, she enjoys hiking, traveling, and spending time at the beach. Valeriia is completing her Bachelor’s degree in Human Biology and Society at UCLA. Working as a New Student Advisor and volunteering at Ronald Reagan hospital helped her find her passion for counseling and education, as well as inform her beliefs in justice and equality when it comes to education and healthcare. A strong interest in reproductive rights and improving health literacy informed the career choices. She will pursue genetic counselling or clinical pharmacy in the future. In her free time Valeriia can be found reading and petting every cat she finds. Audree Hsu is a fourth year Physiological Sciences Major and Food Studies Minor at UCLA. She has a passion for helping people and hopes to go to medical school to continue her efforts to help others. She is heavily involved in Bruin Ladies Ultimate, the women’s club ultimate team at UCLA and enjoys volunteering for Food Forward. In her down time, she can be found throwing frisbees around or cooking. 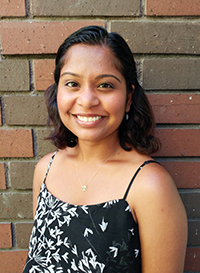 Nithershini Narayanan is pursuing her Masters in Public Health in Community Health Education at California State University, Long Beach (CSULB). She graduated as a dental surgeon in India and is passionate about venturing into the field of public health in the United States. She currently works with the Ukleja Center for Ethical Leadership at CSULB as a research assistant. Her interests are inclined towards the health of women, children and also people of color. Nithershini hopes to work in community health with non-profits in California. Ailin Chao is a graduate student pursuing her Master’s degree in Public Health at California State University, Long Beach (CSULB). She graduated from UC Irvine with a B.A. in Environmental Science and has worked in the healthcare field. Throughout her career path, she discovered her passion for research and advocacy in breast cancer and mental health among women and the elderly population as well as the environmental effects on women’s reproductive health. She would love to involve herself in community health where she can utilize her Spanish and Mandarin skills to help underserved communities and minority groups. In addition, she often volunteers at nursing homes and homeless shelters in the Orange County area. During her free time, she enjoys expanding her culinary knowledge and cooking, hiking, and hunting for the best coffee shop in town. At one time homeless, Olivia Gutierrez is now pursuing a Masters in Public Health with a concentration in Environmental Health from the University of Southern California. After living in a women's shelter, Olivia found her career goal: to help eliminate the health disparities that disproportionately affect the most vulnerable of women and children. Olivia is using her own experience as a first time mom trying to reduce her exposure to environmental toxins to help coordinate the "Planning for a Healthy Home, Body, and Baby" program as well as the Reproductive Health and the Environment in Los Angeles County Conference developed by WHERC. Jessica Baker is a first year Public Health Applied Epidemiology Masters student at California State University Northridge. After graduation, she hopes to work in women’s cancer research and the environmental factors that can cause cancer. In addition to interning at WHERC, Jessica works at Cedars Sinai Medical Center with pre and post kidney transplants patients, and living donor patients. When not working or attending school, she enjoys going to the beach, reading, and taking her dogs for hikes. Jessica received the Center's 2017 "Student Intern of the Year" award. Tayler Rodriguez is a UCLA student double majoring in Physiological Science and Gender Studies. She is passionate about healthcare and social justice issues affecting women and marginalized communities. Tayler plans to attend medical school in the future and looks to bridge health disparities experienced by LGBTQ communities of color. Tayler works with the Chase Child Life Program and mentors middle school girls as part of the Women & Youth Supporting Each Other (WYSE) club on campus. In her free time, Tayler enjoys dancing Salsa, listening to music, and having fun in the sun. Jacqueline is a 4th year Molecular, Cellular, & Developmental Biology major. She spent her undergraduate career finding herself in biological and social axes of change through her various laboratory explorations in gene editing with CRISPR, disease modeling through induced pluripotent stem cells, uncovering cancer biomarkers in cell-free DNA for improved patient diagnosis, as well as critically investigating societal injustices through writing, editing, and directing the Social Outreach division at FEM Newsmagazine. She is looking forward to pursuing a medical degree. Kiana Nguyen is a fourth-year Biology major at UCLA. She is president of Vietnamese Community Health, a student-run organization that addresses healthcare disparities in Orange County by offering free health fairs, health sites, and educational resources. Kiana also volunteers through the Women’s Health Coalition and conducts research on breast cancer at the David Geffen School of Medicine. Kiana is a passionate advocate for the health of women and immigrant communities and aims to pursue a career in medicine. In her free time, you can find Kiana at the beach or trying new food around Los Angeles. Annika Karody is a Third-Year Human Biology and Society major (concentration in Bioethics and Public Science Policy) and an English minor. She is interested in science communication and journalism, as well as environmental/health policy and law. She is currently involved in research at the Fielding School of Public Health's UCLA-DRC Program where she has been assisting with research and mapping health zones in the Democratic Republic of Congo. In her free time, she enjoys writing for UCLA's Satyr Magazine and The Paper Mixtape, and performing improv comedy with on-campus groups. After graduation, she plans to pursue science writing and policy, with plans to go into environmental or healthcare law. Christopher Ngo is a 4th year Human Biology and Society major and a music industry minor at UCLA. He is heavily involved with reducing disparities in marginalized communities. As External Vice President of the Lavender Health Alliance, he sought to educate his peers about the injustices facing the LGBTQ+ community. Additionally, Chris teaches with the community service a cappella group, YOUTHphonics, which provides free music classes to students who have lost their music programs due to budget cuts; he has taken the roles of President, Community Outreach Director, and Music Director. In his free time, you can find Chris rock climbing, recording songs in the studio, and playing viola. Alexandra Navarro is a 4th year Human Biology and Society major with minors in Latin American Studies and Global Health. Her goal is to earn joint Masters degrees in Public Health and Latin American studies. She hopes to work in community health; more specifically focusing on maternal and child health in urban, Latino populations in the United States and in Latin America. Alexandra would love to live and work in Latin America, and become a university professor someday. Sophia Sidhu is a second year Human Biology and Society major with a concentration in Medicine and Public Health, and a minor in Geography/Environmental Studies. She is particularly interested in women’s health equity and environmental reproductive health. After graduation, Sophia plans to attend medical school in pursuit of a dual MD/MPH degree, with a goal of providing healthcare in underserved communities. She is also involved in Project Literacy, Health Guardians of America, Shot @ Life, and the UCLA Health’s Care Extenders Internship Program. Sophia received the Center's 2018 "Student Intern of the Year" award. Nazaret Nunez is a 3rd year UCLA student studying Physiological Science. She currently works as a UCLA Resident Assistant, as the Chief of Staff for the Undergraduate Student Association Community Service Commission, and as the publicity director for Project BRITE (Bruins Reforming Incarceration Through Education). She also works as a volunteer in the Child Life Program at UCLA Mattel’s Children’s Hospital. After graduating from UCLA she hopes to work in medicine or health policy and law. Nazaret hopes to pursue a career that allows her to engage directly with communities, and with their education and healthcare systems, to deconstruct systemic barriers that significantly impact community health, education, and access to resources. Aliza Levin is a third year Human Biology and Society major at UCLA, with a concentration in Social and Historical Studies of Science. She is interested in exploring the fields of Public Health and Education post graduation with a goal of serving under resourced communities. In addition to WHERC, Aliza volunteers with UCLA’s Kids Korner, a tutoring and mentoring program for children living below the poverty-line in North Hollywood. During her free time she enjoys exploring the food scene of Los Angeles and adventuring outdoors. Amy Lee is pursuing a Master’s in Public Health with a concentration in Health Education and Promotion at the University of Southern California. Her interests include reproductive health (sexual/reproductive justice, preconception and pregnancy, contraception), women’s health disparities, mobile health and e-health innovations. Her past experiences include interning with the UC Irvine Women’s Health Care Clinic in Orange, interning with the National Taiwan University Hospital’s Infertility Clinic and Research Labs, and volunteering extensively with Tzu Chi Foundation to provide free medical clinics to underserved communities. Amy wants to pursue a career that encourages a holistic approach to healthcare. Amy received the Center's 2018 "Graduate Student Intern of the Year" award. Ami Bhatt is a graduate student at the University of Southern California and is pursuing a Master's in Public Health. 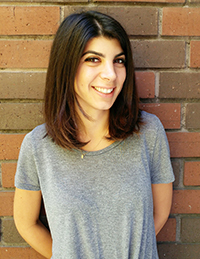 As an intern at Iris Cantor-UCLA WHERC, Ami worked primarily on the Women's Health & Money @ Work™ project. Her responsibilities were to write grants, facilitate in conference planning, communicate with partners, and submit IRB applications. After graduating with her MPH, Ami hopes to pursue her doctorate. Ami has a passion for social justice which she integrates into her other interests through global projects focused on gender and health equity. Greta Altmeyer is a second year Psychology major at UCLA hoping to double-major with political science. She's interested in a career in public service and hopes to continue her education after UCLA by studying law or social work, ultimately utilizing her education to uplift marginalized individuals. In addition to interning at WHERC, she edits and writes for FEM Newsmagazine, an intersectional feminist publication, is a staff member of the Cultural Affairs Commission at UCLA, and will be tutoring with Project Literacy of UCLA. Zebah Azam is a fourth year Human Biology and Society major at UCLA with a concentration in Medicine and Public Health. After graduating, she wants to continue her education and attend nursing school. Her goal is to work for Doctors Without Borders to provide medical aid in underdeveloped communities around the world. Zebah also volunteers at Kaiser and works as a receptionist. In her free time, she enjoys cooking, doing yoga, and going to the gym. Kiana Chan is a fourth year Geography and Asian Langauges & Cultures Minor who has a passion for working in underserved minority communities while using her Mandarin skills to bridge language barriers among immigrant communities in Los Angeles and abroad. Last summer, she interned at the San Francisco Department of Public Health on a research project examining language barriers to HIV medication adherence among Latinos. At UCLA, she volunteers with the Asian Pacific Health Corps (APHC), delivering basic health screenings and translating for local API communities. After college, she hopes to teach English and nutrition education in Malaysia, and then pursue an MPH. Celina Fernandez is a fourth year Biology major at UCLA. She is planning on pursing a MPH degree and working towards reducing health disparities. During her gap year she will continue exploring different concentrations in public health such as health policy and clinical research. On the weekends she tutors, and mentors middle school students at Woodrow Wilson Middle School though UCLA’s Glendale Learning Program. Celina is also a member of Chicanos for Community Medicine, and UCLA’s Public Health Initiative. Jacqueline Williams is a fourth year Human Biology and Society major at UCLA, with a concentration in Medicine and Public Health. After graduation she is interested in pursuing a career in genetic counseling, particularly in the field of women’s reproductive health and prenatal genetic counseling. In addition to interning at WHERC, Jacqueline works as a Human Relations Coordinator for a volunteer-mentorship program at UCLA called the Youth Empowerment Program. She is also a member of NSU Modern, a competitive hip-hop team at UCLA. Katherine is a fourth year Political Science and Latin American Studies double major at UCLA. She will spend her last semester abroad in the Caribbean exploring the intersectionalities of race, class and gender through the lens of subaltern narratives. Katherine plans to pursue an MPH and weave in her passion for health equity to address sexual assault and mental health issues in low- income minority communities. Katherine’s intent in working alongside these communities stems from growing up in the inner city of Los Angeles as well as her experience in addressing disparities through direct action within the court and education systems. Katherine mentors local high school students through In the City, Inc. and is a student assistant at the UCLA Student Health and Wellness Center. She values an active lifestyle and spends her free time weightlifting and going on hikes. Casey Lee is a third year Political Science major at UCLA. Concentrating in the International Relations field, she is interested in how nations, international organizations, non-governmental organizations, and private firms work towards advocating for gender equality and human rights. In addition to WHERC, Casey also works as a Communications Chair and intern at the Greater Los Angeles Chapter of USNC for UN Women. On campus, she is involved in several student groups, including UCLA Radio, FEM Newsmagazine, and the UCLA Fencing Club. Karen Singh graduated in June 2016 from UCLA with a B.S. in Human Biology & Society. While at UCLA, she was involved in Peer Health Exchange, Shot@Life at UCLA, and UCLA Health’s Care Extenders Internship Program. Karen was an intern with the Iris Cantor-UCLA Women’s Health Education and Research Center from December 2013-June 2016, received the Center’s inaugural “Student Intern of the Year” award in 2016 for her dedication to women’s health, and was program coordinator from 2016-2018. Karen is particularly interested in investigating disparities in reproductive health and birth outcomes among minority women and ultimately wants to work to provide equitable healthcare for marginalized persons and underserved communities. Clara Lengacher is a third year UCLA undergraduate majoring in Human Biology and Society and minoring in Public Health. After graduation, she hopes to spend time working in aid both domestically and abroad before eventually pursuing a dual-degree PA/MPH program. She is particularly interested in women’s reproductive health, health education, and pediatrics. On campus, Clara enjoys her job as a writing tutor and her position in the Global Health non-profit, GlobeMed at UCLA. In her free-time, she loves to read, hike, run, and explore everything LA has to offer. Jesselyn Wang is a fourth year Biology major and Entrepreneurship minor at UCLA. She is passionate about community development and its crucial role in improving public health. After graduation, she hopes to leverage her diverse background to work at the intersection of business, healthcare, and technology. Outside of school, she enjoys indoor cycling and experimenting with vegan food! Jacqueline Kalajian is a graduate student at the School of Public Health at the University of Michigan, Ann Arbor. She is specializing in Health Behavior and Health Education and is mainly interested in maternal health, adolescent health, and reproductive health. Jacqueline plans on pursuing a career in the field of Public Health and hopes to help eliminate any disparities experienced in underserved communities. In her spare time Jacqueline enjoys traveling, hiking, and baking. Liliana Siguenza graduated from USC with a Master in Social Work and a Master in Public Health in 2016. She fulfilled her field placement requirement for her Master in Public Health at the Iris Cantor-UCLA Women’s Health Education and Research Center. As a dual MSW-MPH she plans to pursue a career in clinical social work. Monica Ramsay is a second-generation, Egyptian-American, loud-and-proud feminist with designs to translate her passion for activism into a career in healthcare advocacy. As a child of diaspora, she is particularly interested in advocacy that focuses on the intersections between reproductive justice, sexual health and mental health in diasporic communities. Monica originally hails from a small town in Ohio, but has lived in Los Angeles the past four years, where she studied Gender Studies and Natural Sciences at the University of Southern California. After graduating, she worked for Sandra Fluke’s State Senate Campaign and worked as an organizer for the Feminist Majority Foundation. 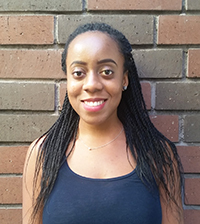 Monica is interested in pursuing graduate work specializing on research that examines the connections between shame, trauma and healthcare disparities. Adaure Amuzie graduated from UCLA in 2014 with a B.S. in Anthropology. She’s currently applying to medical school with the hopes of furthering her interests in women’s health. Her overall goal is to open up a hospital in Nigeria, where her family is from. Isis Piccillo is a third year undergraduate majoring in Human Biology and Society. Isis’ pronouns are they, them, and theirs. Isis has previously worked on social justice issues such as legal protection for transgender students and reproductive justice. Their future plans include taking time off to pursue learning languages before attending nursing school to become a public health nurse. They are fiercely committed to bringing intersectionality to their own work and to health care as a whole. Roshini Hegde graduated from UCSD in 2014 with a B.S. in Environmental Science. Currently, she works part-time as a Program Coordinator in the Education department at the David Geffen School of Medicine at UCLA. She hopes to pursue an MPH next year, and her interest in learning more about women's health and health education is why she chose to intern at the Iris Cantor Women's Health Center. Christine Javier is a University of California, Santa Barbara graduate with a degree in Biology. She is passionate about health education that is creatively and scientifically sound, outreach efforts to underprivileged communities, activism for social justice, clean energy solutions, and ecological preservation. During her internship, she is consolidating aspects of WHERC's research and making it accessible to the public. Emily Heller recently graduated from the UCLA Fielding School of Public Health with a Master of Public Health degree in Community Health Sciences. She is passionate about environmental health and maternal/child health, and enjoys both health program planning and research. As an intern at WHERC, Emily will assist with grant writing, among other projects. Niyanta Davé is a graduate student at California State University, Northridge and and is pursuing a masters degree in Public Health. Her area of interest is serving under privileged individuals by improving their health. During her internship she is assisting the Center with applying for reproductive environmental health grant, gathering resources to educate women on environmental reproductive health, and compiling research articles on lesbian and bisexual women's health. Riley Sandberg has completed her junior year as an undergraduate at Brandeis University outside of Boston. She is majoring in Psychology, and she is planning to pursue a PhD in the future. She is particularly interested in neuropsychology, gender differences in disease, and the role stress plays in illness. Shelby Cantonwine is currently a Master of Public Health student at USC, graduating in Fall 2014. Her concentration is in Health Education and Promotion. Shelby has focused on reproductive health and the environment material while interning. She is interested in women's health, healthcare disparities, as well as reproductive health. Lelosa Aimufua is a rising junior at Marymount High School. She plays volleyball and soccer in her free time along with reading and watching movies. She interested in studying medicine in college, specifically pursuing a career in pediatrics or psychiatry. During her internship with UCLA WHERC, she updated the email list, helped organize and prepare binders for a grant meeting, and researched cosmetology schools for low income women. Justine Alvarez is a second year graduate student at the University of Southern California. She is working towards her masters in public health with a concentration in health education and promotion. She is interested in reproductive health, as well as maternal and child health, and she hopes to pursue a PhD in the future. Stephanie Wong is a fourth year undergraduate at the University of California, Los Angeles. She is majoring in Biology and plans on attending medical school in the future. As an intern, she has helped compile citations for a publication about lesbian and bisexual women's health. In her spare time, she likes to hang out with family and friends and volunteer at the Santa Monica Pier Aquarium. Shelby Bachman recently graduated from the University of Southern California with a degree in Neuroscience. At USC, Shelby taught research as a Supplemental Instruction leader and served as a Resident Advisor. She also conducted research in the USC Emotion & Cognition Lab and completed a senior honors thesis examining age-related changes in the brain's white matter. As an intern, Shelby has been involved in two projects: a compilation of educational materials about reproductive health and the environment, and a publication about lesbian and bisexual women's health. She plans to attend medical school and pursue a joint MD/MPH program. Amy Huynh is a fourth year undergraduate at UC San Diego. Her major is Human Development with a double minor in Global Health and Healthcare Social Issues. Amy enjoys helping her community while working towards her goal of pursuing a career in Public Health. Natalie Catalan is a senior at Marymount High School in Los Angeles, California. She became interested in the environment after taking a course in Environmental Science. Throughout her internship she has worked on putting together consumer education resources in order to inform the public of the effects the environment can have on reproductive health. in her spare time, Natalie plays basketball and volunteers at Skirball Cultural Center. Tanya Moreno recently graduated from UCLA with a BA in Sociology. She plans to pursue a Master's in Public Health after graduation. As an intern, she helped contact associations for the LGBT health conference. She was also involved with exploring and developing a survey for a potential Public Health and Community Development Collaborative. In the future, Tanya wants to work in healthcare administration and help develop health education programs for local low-income families in the LA area. Mahnaz Akhavan is a part time graduate student at California State University, Northridge. She is working towards a masters degree in Public Health. She is interested in Health Education and would like to work with underserved communities to improve their health. During her internship, she has been assisting with evaluating the surveys taken at the Reproductive Health and the Environment conference and also assisting with contacting Health Executives to attend an upcoming conference. In her spare time, she likes to exercise and visit family and friends.